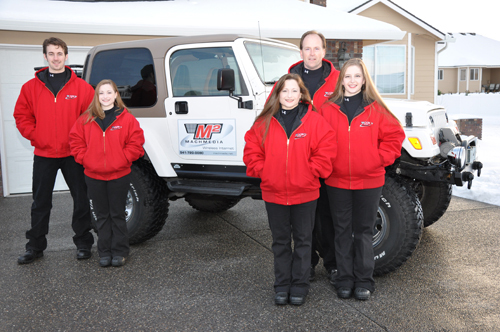 We are a locally owned company based in Hermiston, Oregon. Our vision is to expand state-of-the-art communication technologies to Eastern Oregon normally found only in large metropolitan cities.MachMedia’s objective is to provide valuable, yet inexpensive, high-speed broadband services to our residents and businesses without subjecting them to long service contracts. In addition to the benefits of a faster Internet service is our Internet-based phone service, which costs less than most long-distance providers. We believe our customers want a fast, reliable service with useful features, while not having to pay for greedy overhead costs. We agree. For that reason, our quality of service does not end with professional custom installations; it is just the beginning. MachMedia wants to be the High-Speed Internet Service Provider (ISP) of choice that is different, friendly, and customer-oriented. Our goal is to be all that our customers would expect from a conscientious and effective Internet and phone service provider. We are easy to deal with and fully committed to our subscriber’s satisfaction with friendly, fast customer service. Because we call Eastern Oregon our home, we have a stake in its future and feel it is our responsibility to provide the best possible cutting edge services that are affordable and accessible to our communities. Peter had a temper, David had an affair, Noah got drunk, Jonah ran from God, Paul committed murder, Gideon was insecure, Miriam gossiped, Martha worried, Thomas doubted, Sara was impatient, Elijah was moody, Moses stuttered, Zacchaeus was short, Abraham was old, & Lazarus was dead. God doesn’t call the qualified, He qualifies those He calls!